People who decide to quit smoking are not always successful at it. It does take time and loads of patience to resist that urge to go back. However, staying firm and determined can make the process simpler. 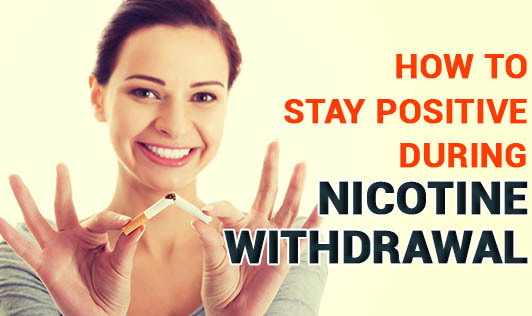 Here are a few tips to help you cope with the discomforts of nicotine withdrawal and stick to your decision of ‘Quitting'. Write all the reasons you can think of for quitting smoking. This will help you reinforce your resolve to stop smoking. Hide ashtrays and cigarettes. Practice the ‘out of sight, out of mind’ idiom. Figure out your "triggers" and ways to cope with them. Do you smoke when you are tense, or when you are working late, to feel pepped up, or for that extra energy? To avoid this temptation, try chewing gum or eating toffees and mints. Practice deep breathing exercises when you’re free. The next time you feel like smoking, think of your family/children and the effect your bad decisions can have on their future- passive smoking and other health issues that you may face. Find a support person like a good friend, colleague, sibling, spouse, or parent. Make plans for your first day without cigarettes and subsequent days as well. Try and stick to the plan as much as possible. Use the ‘4 Ds’ when craving hits you- Do something else; Delay smoking the next cigarette; Deep breathe; Drink water. Get the required 7 to 8 hours of sleep a day. Reward yourself every now and then for sticking with the plan and staying off nicotine. Practice relaxation techniques like yoga, walking, meditation, dance, and music every day. Limit the intake of caffeine and alcohol.